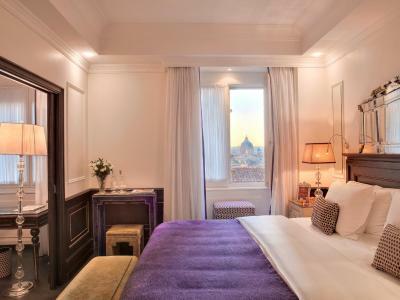 Lock in a great price for Hassler Roma - rated 9.3 by recent guests. Outstending! Realy kind and halpfull staf and beautifull big room! 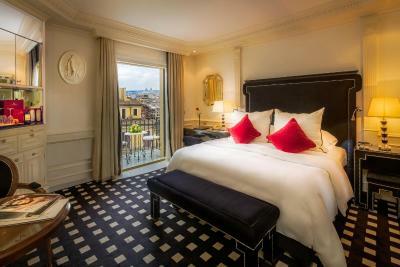 The room was spotless, the service was fantastic and the view from the terrace bar is unique. We received a free upgrade, which was very kind. The room was very comfortable and had a nice view of the garden area. The location was excellent. Staff were exceptionally friendly and helpful, and greeted guests by name. 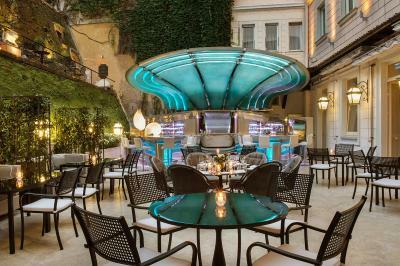 The internal courtyard restaurant was a welcome retreat from the heat of the day. The food was delicious (the breakfast buffet was so extensive that we never got around to exploring the menu) and the lounge quiet and inviting. I wish I'd had time to investigate the spa, but was too busy. Location was fantastic. Staff were very friendly. Very clean. 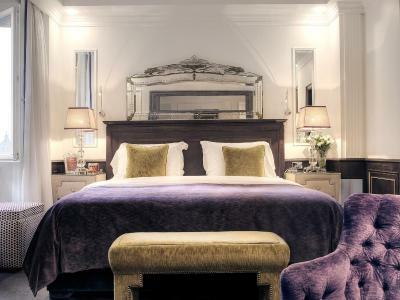 Beautiful big comfortable bed. 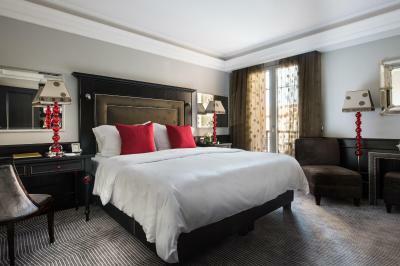 Comfortable beds and soft pillows. Friendly and helpful staff throughout the entire hotel. Excellent cuisine in both restaurants. 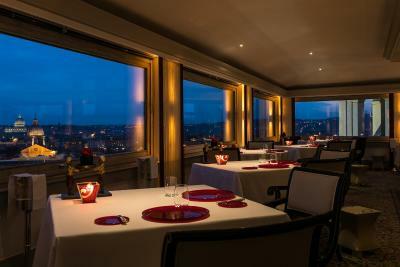 Loved the Imago restaurant amazing food amazing view and amazing service. Loved being able to eat on my own without feeling alone thank you! Bed/linen etc all super comfy. 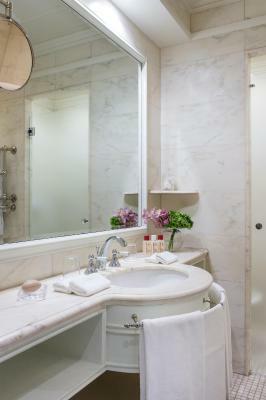 Beautiful dressing area and bath and shower room. Balcony to internal courtyard a bonus and surprisingly silent considering it was New Year. I read about this hotel in a detective story a long time ago and I always wanted to go there. 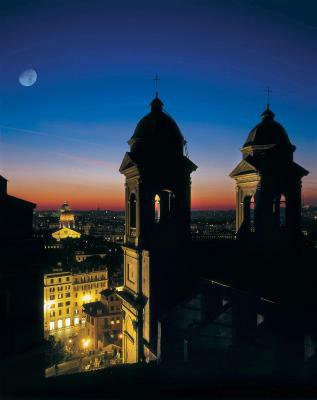 I believe there is no better hotel for tourists in Rome. Not only for its excellent location but the hotel itself stands up to its reputation. The hotel staff is very helpful and we felt treated like old friends. The difference is in the details: pronouncing my name correctly (that never happens abroad), a present for my wife's birthday, a little stool by the table to put your purse on, special furniture and decoration, a pianist every evening... Go find out yourself. The hotel is somewhat smaller than I expected but that is no bad thing. 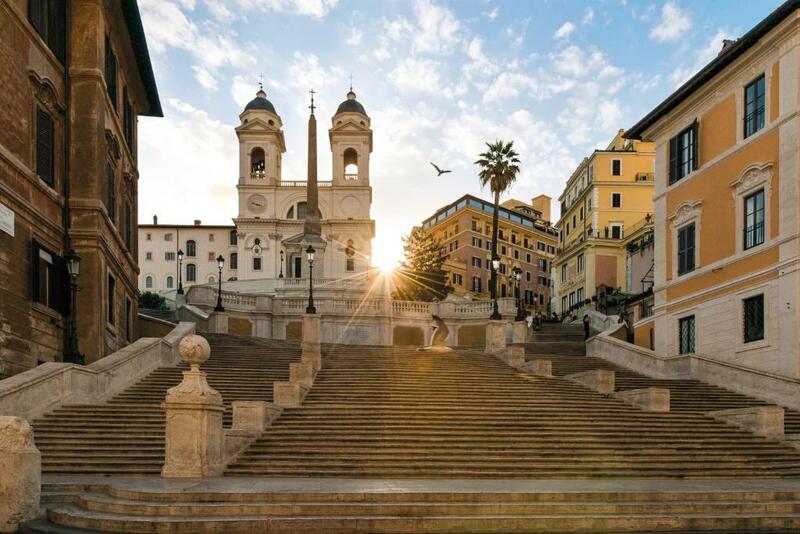 Set at the top of the Spanish Steps, Hassler Roma is one of the city's most famous hotels. 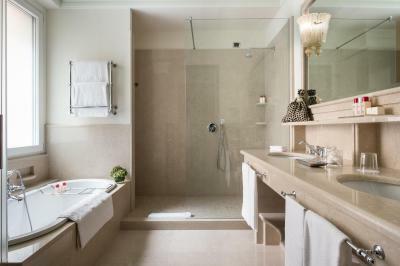 It offers elegant rooms and suites with high-speed free WiFi, and free wellness facilities including a sauna, Turkish bath and gym. 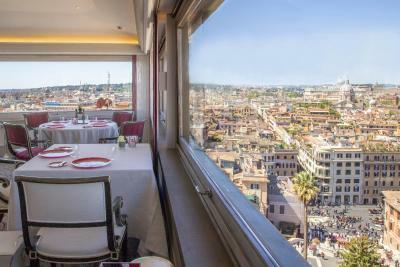 Its restaurant and gym have panoramic views over Rome's rooftops. 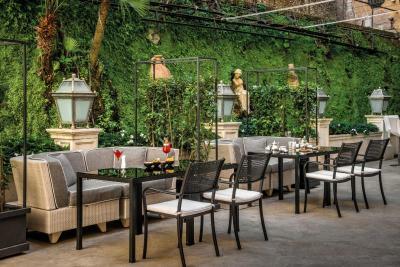 Dining options at the Hassler include the Michelin-starred Imàgo on the 6th floor, the stylish Salone Eva, and the Palm Court restaurant with its ancient stone walls. 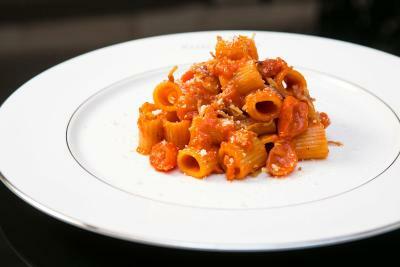 The cuisine is classic Italian, with international specialities. 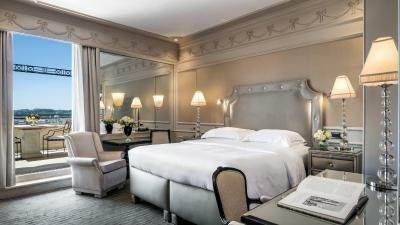 Rooms at the Hassler feature a satellite TV and air conditioning. You also a smartphone available for free, and you can use it for national and international phone calls. 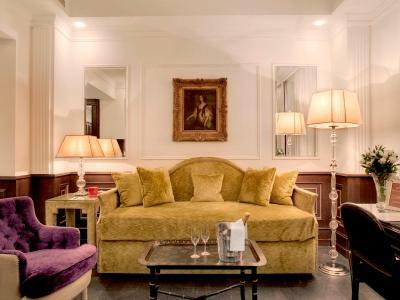 All units are classically furnished and some have a large seating area with a sofa. 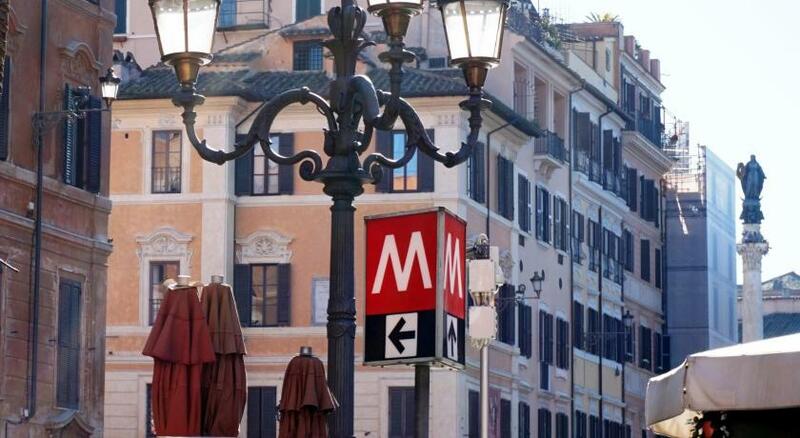 The Hassler is a 5-minute walk from Spagna Metro, while chic Via dei Condotti is just 200 yards away. The hotel's free electric shuttle takes guests to shops in the surrounding area. 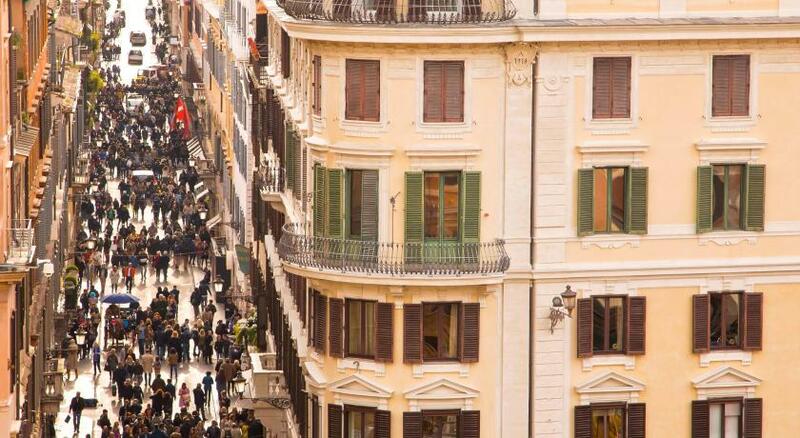 Spagna is a great choice for travellers interested in shopping, food and city walks. 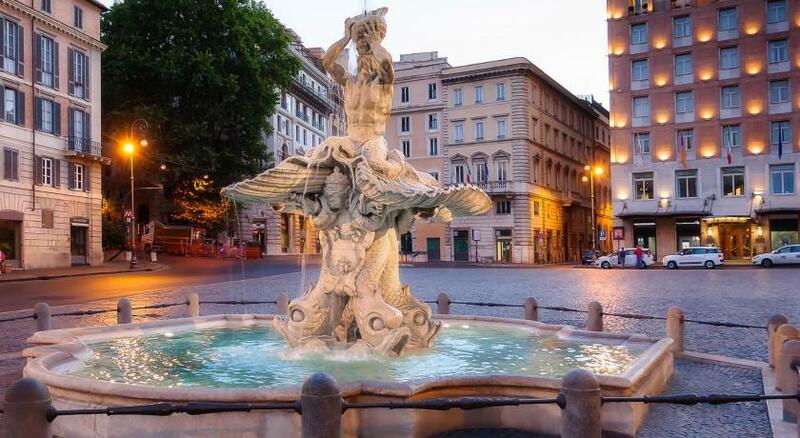 This is our guests' favourite part of Rome, according to independent reviews. This area is also great for shopping, with popular brands nearby: Rolex, H&M, Zara, Nike, Cartier. 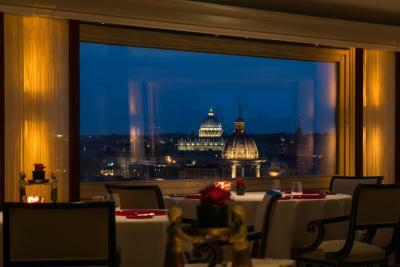 Hassler Roma has been welcoming Booking.com guests since 3 Feb 2011. 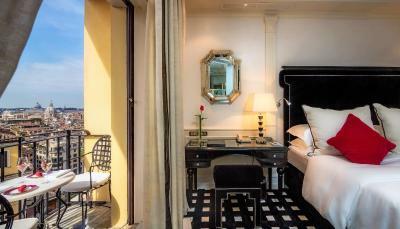 When would you like to stay at Hassler Roma? 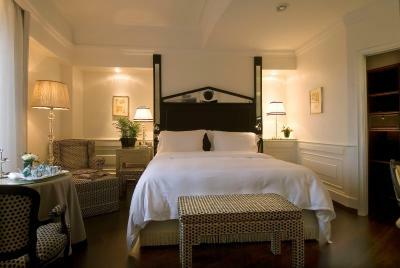 With high-speed free WiFi, this larger air-conditioned room features a private bathroom, satellite TV, and a minibar. 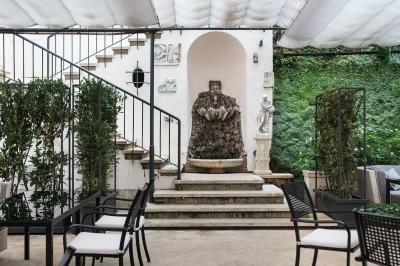 Includes access to the sauna, Turkish bath and gym with panoramic views over Rome's rooftops. 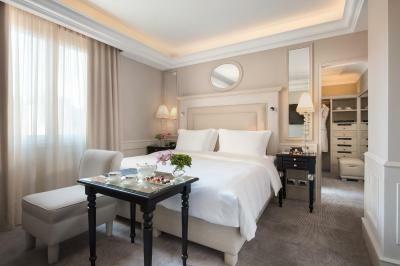 With high-speed free WiFi, this large and luxurious air-conditioned room features a private bathroom, satellite TV, and a minibar. With high-speed free WiFi, this very spacious and luxurious air-conditioned room has a satellite TV, a minibar and a private bathroom. Some include a seating area with sofa. Featuring an independent living room and high-speed free WiFi, this air-conditioned suite features a bathroom with double sink and shower, and an additional toilet. 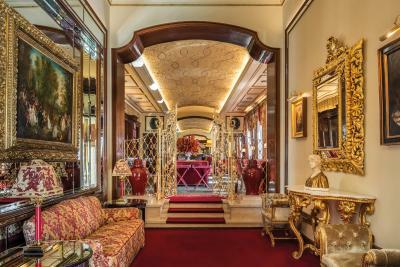 Offers a satellite TV, and a minibar. Some overlook the garden, and some can are connecting with other rooms. 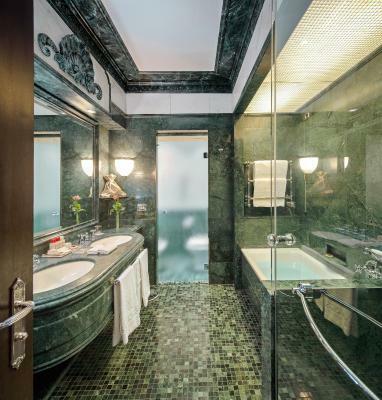 This air-conditioned suite has a living area with a sofa, walk-in closet and a marble bathroom with double sink, a shower and a bath tub. Comes with partial city or partial garden views. 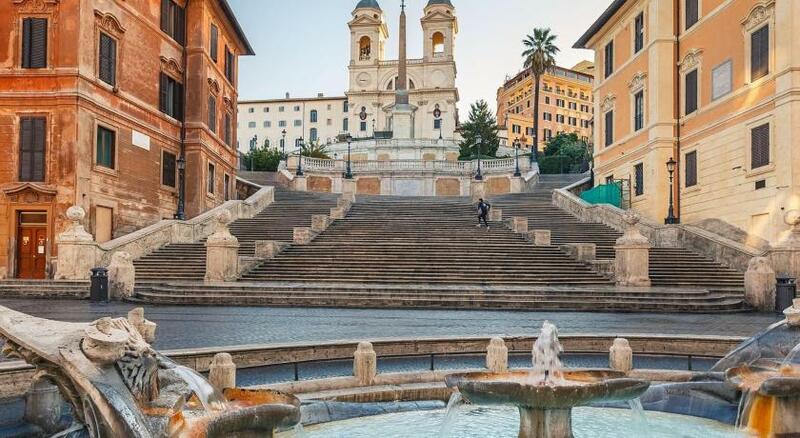 Hotel surroundings – This neighbourhood is a great choice for travellers interested in shopping, food and city walks – Check location Excellent location - show map Guests loved walking around the neighbourhood! House rules Hassler Roma takes special requests - add in the next step! 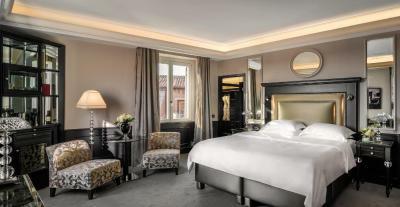 All further older children or adults are charged EUR 110 per night for extra beds. Hassler Roma accepts these cards and reserves the right to temporarily hold an amount prior to arrival. Elevators were not sufficient in quantity and size. No walk in shower in the room. Location was great. However all the staff without exception were above expectation. The tourists in Piazza di Spagna can be a little intense. 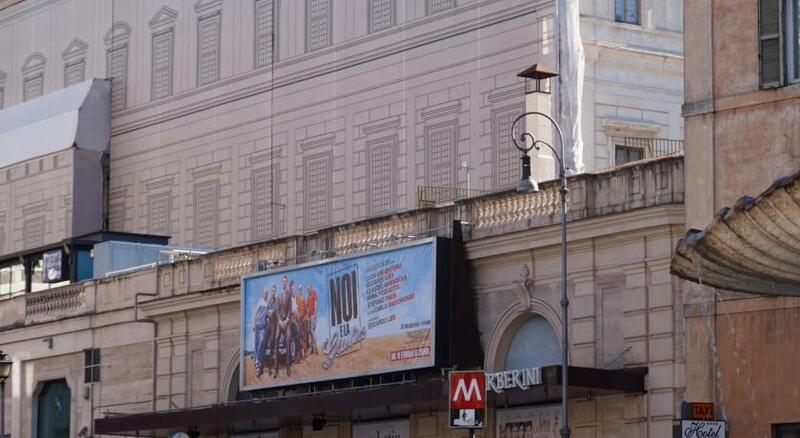 But it’s the price you pay for an iconic hotel in a beautiful city. The bar. I’ve seen the world and travel extensively. 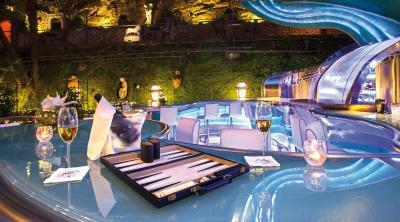 This bar is one of my favorites on any continent. The rooftop terrace is baller too. The roof terrace is blah! Typical inexpensive tables and chairs and tons of ash trays everywhere. Very professional staff and well maintained hotel, although certainly not as modern in presentation as its competitors, i.e. 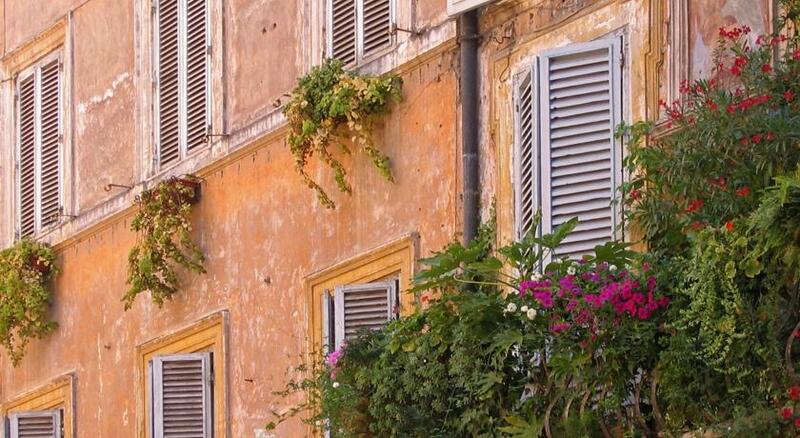 Hotel de Russie. I do love the patio bar although not open in the winter. It is a marvel of Art Deco. You would think the roof terrace would be better designed, plants and more comfortable seating, but alas, a very special location. 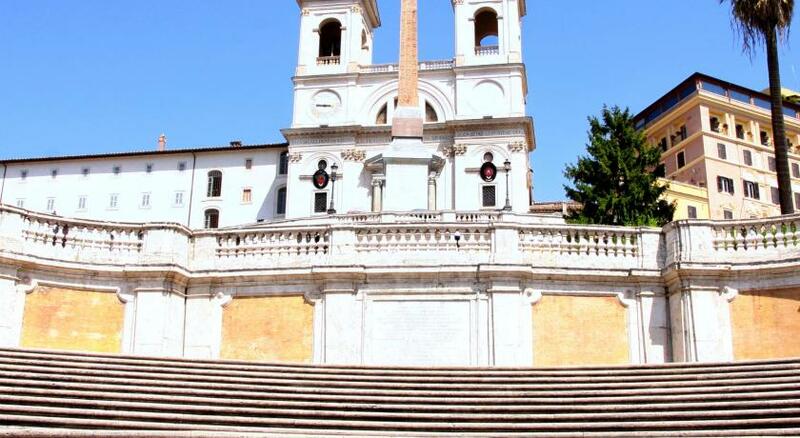 My view of the Spanish Steps was especially appreciated. The bed is like a cloud! The staff is lovely, breakfast perfect. There were vegan croissants, and hot almond milk for my coffee! The world is turning vegan, grazie! I was able to get a late checkout! The Hassler is the greatest. I asked hotel reception specifically to charge my euro account. The hotel receptionist has frozen the correct amount in euros on my card, but then charged my ruble account. The amount in my account in euros is still frozen. This is ridiculous and inaccurate. I would not expect to suffer such troubles in such hotel. This was a top notch hotel - just perfect. The staff was phenomenal. We will definitely be staying at the Hassler again. The breakfast is slightly underwhelming given the high standard of the rest of the experience but still very good.